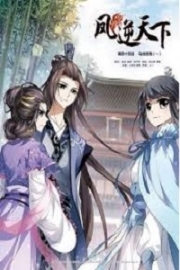 You’re reading novel Chaotic Sword God Chapter 1740 online at LightNovelFree.com. Please use the follow button to get notification about the latest chapter next time when you visit LightNovelFree.com. Use F11 button to read novel in full-screen(PC only). Drop by anytime you want to read free – fast – latest novel. It’s great if you could leave a comment, share your opinion about the new chapters, new novel with others on the internet. We’ll do our best to bring you the finest, latest novel everyday. Enjoy! "Originally, I comprehended the Laws of s.p.a.ce as well, but they were ripped away from me by the sword spirits so that I could focus on the Way of the Sword. If I comprehended other ways while comprehending the Way of the Sword, it'll just waste my time and effort. It'll indefinitely delay when I can reach the highest realm of the Way of the Sword," Jian Chen thought. He agreed to what the sword spirits had done very much. He really would be able to reach the highest realm of the Way of the Sword by devoting all his time to it. If he had to comprehend other ways while comprehending the Way of the Sword, it would waste quite a lot of time. Although a few supreme experts in both the Saints' World and the Immortals' World had grasped more than a single way, most of them would comprehend their first way to the absolute limit and reach the apex of the world first. After that, they would start comprehending other ways. Even if any accidents happened to them, they would be able to protect themselves. If a person began comprehending several ways right from the start, they would have to spend quite a lot of time and energy on each way. No matter how great their talent was, they would have to spend quite a long time before they managed to reach the apex. It was extremely likely for them to die during that time due to various reasons. There were quite a few prodigies who died before achieving great strength in both the Immortals' World and the Saints' World. "I don't know the Laws of s.p.a.ce anymore, so I'll ignore G.o.dking Duanmu's Laws of s.p.a.ce. I'll just comprehend his Way of the Sword." Jian Chen cleared his mind and began paying close attention. Jian Chen completely lost his sense of time. When G.o.dking Duanmu finally stopped using the sword, his figure faded gradually and vanished in just a few seconds. Jian Chen's mind also receded from the scroll. The scroll in his hand had closed up automatically. At the same time, he discovered that Shen Jian had arrived beside him at a certain time. "This scroll will be of great use to us. You have a look. I need to go into seclusion immediately." Jian Chen pa.s.sed the scroll to Shen Jian before leaving the building to go to the Cultivation Room. Shen Jian's mind was also sucked into the scroll's world when he opened it like Jian Chen. He experienced the same thing. In the blink of an eye, another month pa.s.sed. 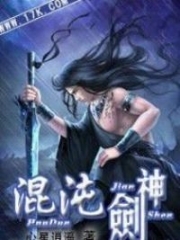 Jian Chen finally emerged and when he did, he had completely digested all his comprehension from G.o.dking Duanmu's usage of the sword, which deepened his comprehension of the Way of the Sword some more. Even though he still remained at the minor achievement of Sword Spirit, he had taken a great step towards partial achievement without a doubt, and he was now closer than before. Shen Jian benefited greatly from the scroll as well. Although he remained at the great perfection of Sword Origin, he was even closer to Sword Spirit now. Of course, they could comprehend so much from the scroll G.o.dking Duanmu left behind completely because of their talent and apt.i.tude for comprehension. The better they were at comprehending, the more they would benefit obviously. If a person with no special apt.i.tude had obtained G.o.dking Duanmu's scroll instead, they would not benefit at all even if they glanced through it a thousand times. Even if the most basic method of pa.s.sing on ways was present before a person with bad apt.i.tude, they would not be able to benefit from it at all. As soon as they emerged from the Cultivation Room, Jian Chen frowned. He looked towards the entrance of the dwelling. That was where they had come in from, and it actually rumbled from that direction. "You've sensed it as well. It's the people outside attacking the entrance. They'll enter before long," fairy Hao Yue arrived before Jian Chen and said sternly. Jian Chen became stern as well. Although his strength had increased drastically after reaching Sword Spirit, he also understood that the people gathered outside would be a large group of OverG.o.ds. Jian Chen was able to achieve invincibility among those below OverG.o.d with his current strength, but he still stood no chance of victory against OverG.o.ds. This was because all OverG.o.ds had comprehended the same amount of the laws of the world as him at the very least. There were even a few OverG.o.ds who had comprehended more than him. Jian Chen possessed no advantage in the laws of the world before OverG.o.ds. His personal cultivation was a huge disadvantage in the first place, so as soon as they began fighting, he would definitely suffer defeat. A thought flashed through Jian Chen's mind. Suddenly, he gritted his teeth, and with a flip of his hand, two jade bottles appeared from his s.p.a.ce Ring. They were labelled 'Ten-thousand-year G.o.d Origin Pills'. "I can only consume these pills in the current situation. It's a pity that I only have twenty of these pills. I wonder if twenty will be enough for me to reach the tenth layer of the Chaotic Body," Jian Chen said gruffly. He could only consume the pills sooner than he had initially planned now that he faced the threat of so many OverG.o.ds. Only when he was even stronger could he protect himself before these OverG.o.ds. Jian Chen turned around and entered the Cultivation Room again to continue his seclusion. However, he did not comprehend the Way of the Sword this time. Instead, he ingested the pills to increase his personal strength. Jian Chen sat in the gloomy room. He poured out a pill from the bottle and swallowed it without any hesitation. As soon as the pill reached his stomach, it turned into an extremely violent energy that exploded within Jian Chen. Jian Chen did not feel like he had consumed a pill but a bomb. The energy was so violent that if weaker people with more fragile bodies had consumed it instead, they probably would have been blown into pieces in an instance. However, Jian Chen cultivated the Chaotic Body. Even if the effects of the pill were several times more brutal, he could still withstand it, as the toughness of the cultivator's body was one of the greatest advantages of the Chaotic Body. Jian Chen directly ignored any future problems the pills could cause and devoured all twenty pills one by one. They wreaked havoc in his body as violent energy that was gradually refined into Chaotic Force. The chaotic neidan in his dantian grew bit by bit as well. Mo Ling, Ando Fu, and the elders of both clans all gathered outside the Cultivation Room. Every single one of them was worried. The disturbances from the entrance were only increasing, where even they could sense it with their strength. All of them became uneasy. After all, they were the people who had entered the dwelling first. Once the OverG.o.ds made it in here, they would definitely suspect that their group had obtained a lot of good things, so the OverG.o.ds would never let them go. A month later, Jian Chen consumed all twenty Ten-thousand-year G.o.d Origin Pills. However, to his disappointment, they failed to allow him to break through to the tenth layer. 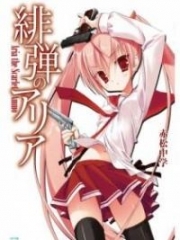 You're reading novel Chaotic Sword God Chapter 1740 online at LightNovelFree.com. You can use the follow function to bookmark your favorite novel ( Only for registered users ). If you find any errors ( broken links, can't load photos, etc.. ), Please let us know so we can fix it as soon as possible. And when you start a conversation or debate about a certain topic with other people, please do not offend them just because you don't like their opinions. You're reading Chaotic Sword God Chapter 1740. This novel has been translated by Updating. 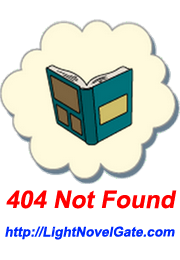 Author: Xin Xing Xiao Yao already has 1571 views. Current Time is Apr-23-2019 00:16:49 AM.